Beauty Mate is a manufacturer of quality men’s grooming products such as hair shampoo and conditioner, moisturizer, etc and is offering everyone at the Bears (including family and friends) a whopping 30% discount for any online purchases – and some of us blokes can do with some grooming! And their packs make great gifts for that special man in your life. 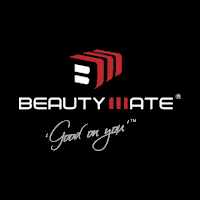 Check out the full range of their products at www.beautymate.com.au. When ordering your goodies, type in the promotion code ‘Caulfield Bears’ to receive the 30% discount offer. Also check out their fun video which highlights the differences in grooming of men & women – click here http://www.youtube.com/embed/lL7oQQQgJwg” – you should get a laugh from it.